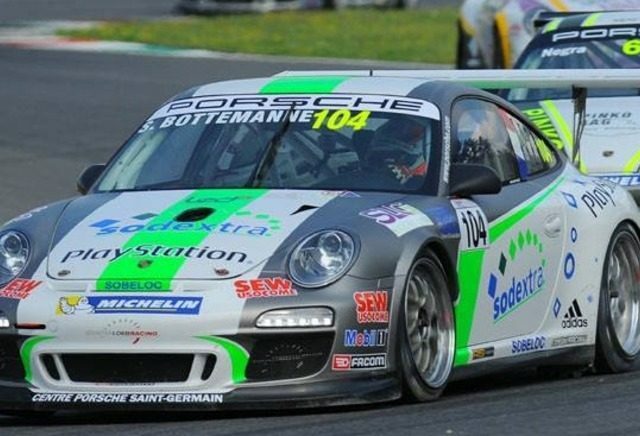 Porsche 997 GT3 Cup MY 2012 run by SEBASTIEN LOEB RACING. Chassis #12. -	Chassis, rear axle, drive shafts, and shock absorbers : 6h only (replaced in 2013). -	Gearbox 7h since last overhaul. -	Engine 17h since last overhaul. -	Spark plug specs 2013 and front strut-tower specs 2013. -	Data acquisition MoTeC ADL2 with beacon and car upgrades (4MB memory, steering angle sensor, braking pressure sensor front/rear). -	Including 3 sets of BBS wheels besides the race car.